This is a signed Giclee canvas print of an original acrylic painting done by the artist. 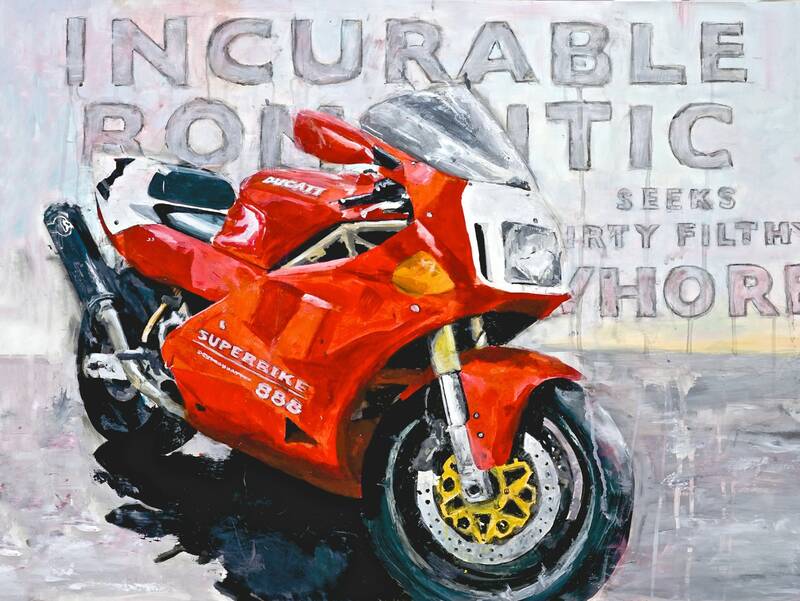 The bike is a Ducati executive's 888 Superbike (with a Harland Miller quote in the background). 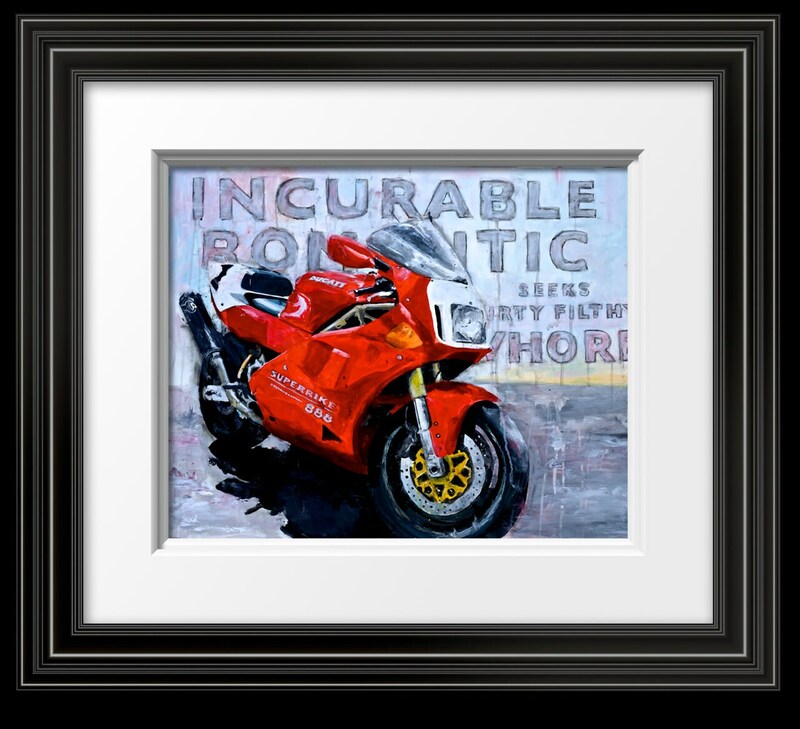 The question is, are you the Incurable Romantic seeking this bike or is the bike the Incurable Romantic seeking you?